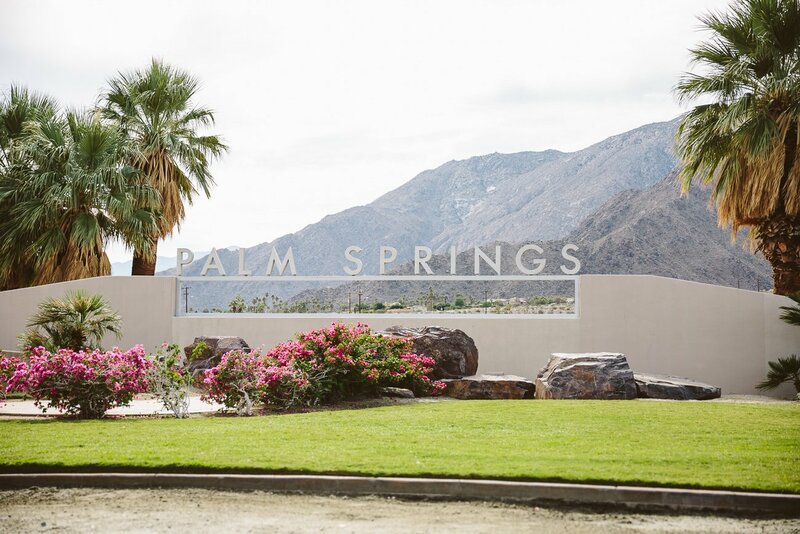 Palm Springs is famous for it’s mid-century modern architecture and off-beat community. 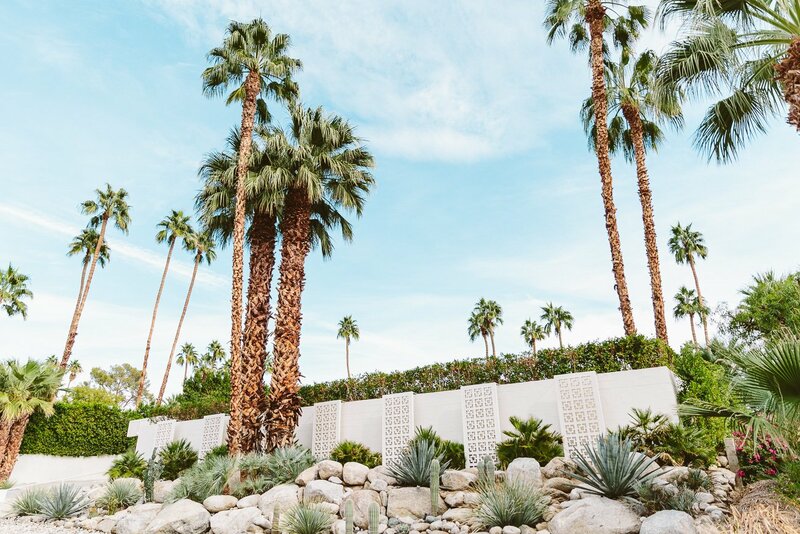 When we visited California, we knew we had to spend at least one day in Palm Springs to see what it was all about with our own eyes! 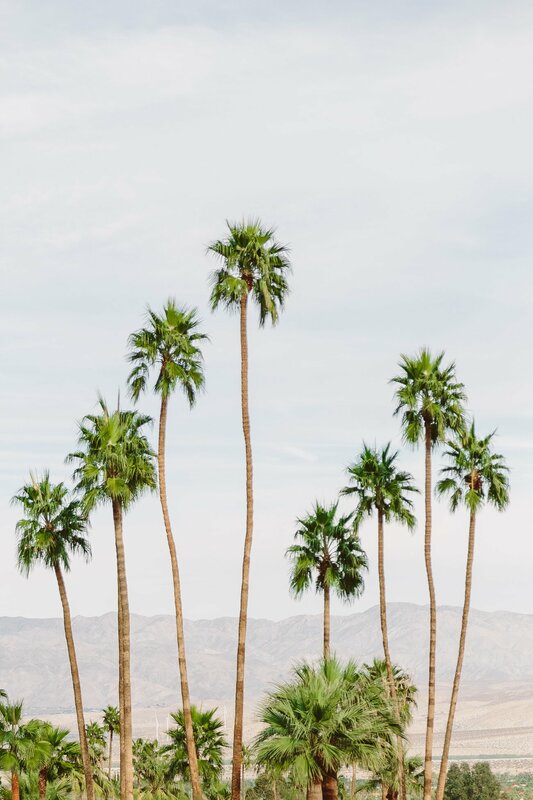 Let’s face it – Palm Springs is a village. 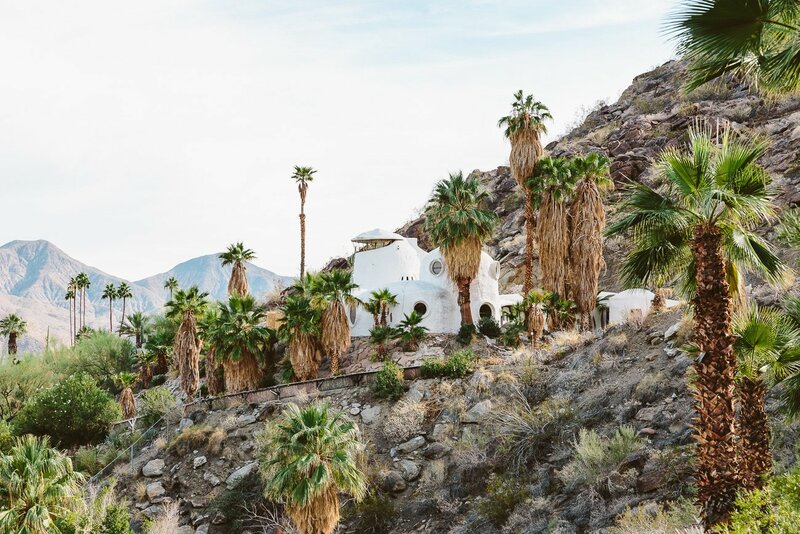 It’s approximately 40.000 inhabitants spread out over a small piece of land in the valley of Coachella nestled between mountains. 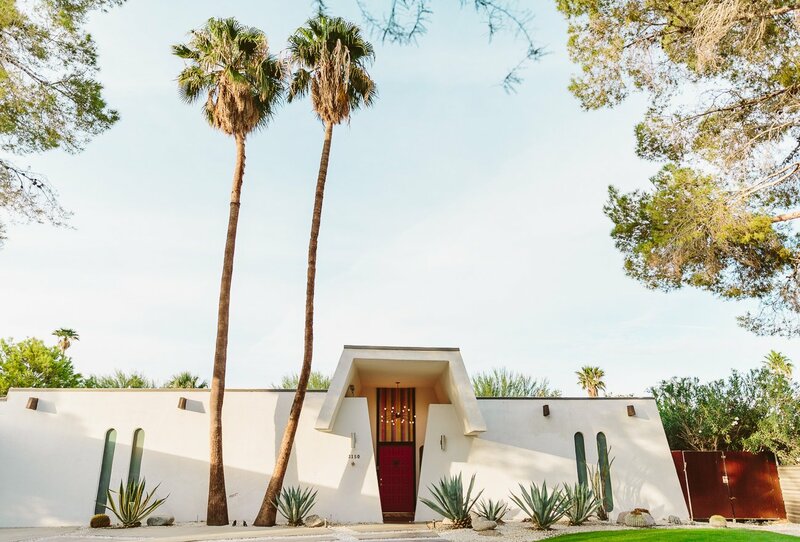 There are no other attractions than the desert and the mid-century architecture. So, to be honest: You won’t need an itinerary or a specific plan to visit the city. 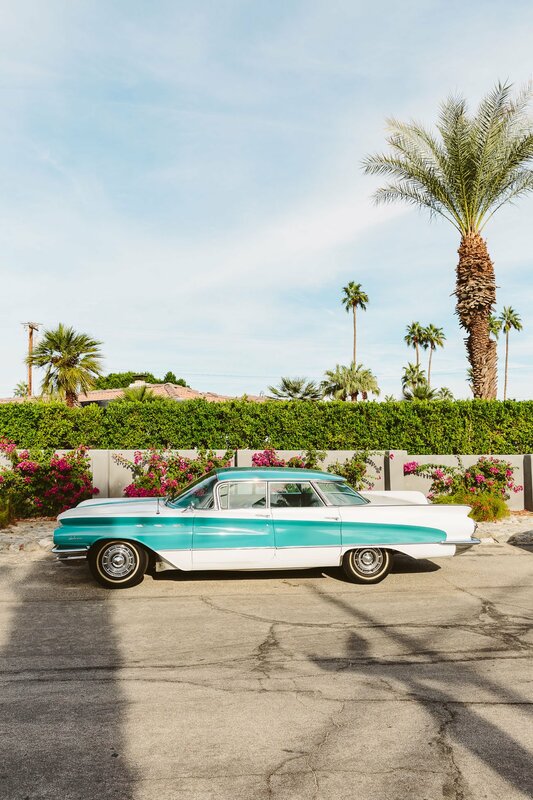 You’ll easily get a feeling for what it was like at the height of the Hollywood glamour that occupied the city in the 50s and 60s. Just drive around with your car and take as many of the roads as possible to sense the vibe of the town. And definitely marvel at the houses and vintage cars here and there. We did even buy an overpriced map of mid-century homes to find them in the many small streets of the town. But we ended up throwing it away after the 7th or 8th house. Why? Because most of them are not really visible from the street and privately owned. 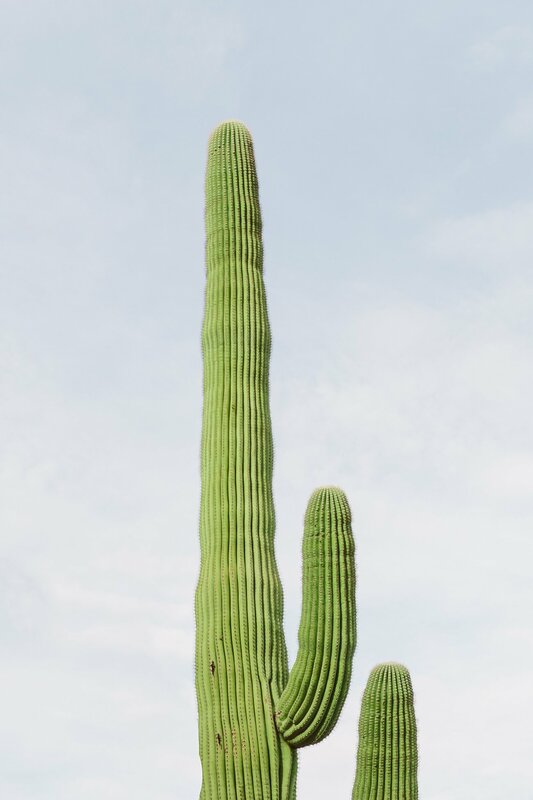 So there’s no getting inside any of those anyhow. Next time we would skip the map and just drive around the town. Or if you’re really interested you could join a guided architectural tour instead. 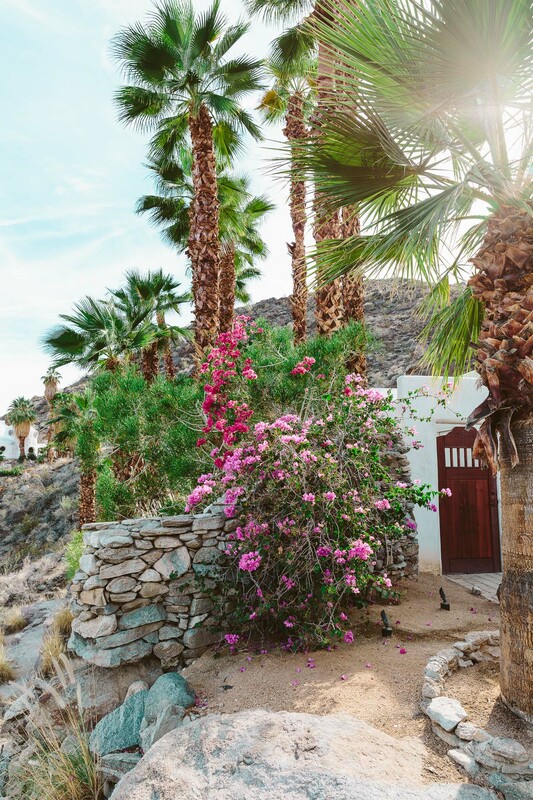 If we get to visit Palm Springs again, we would definitely rent one of the fabulous houses via Airbnb and stay for a couple of days. 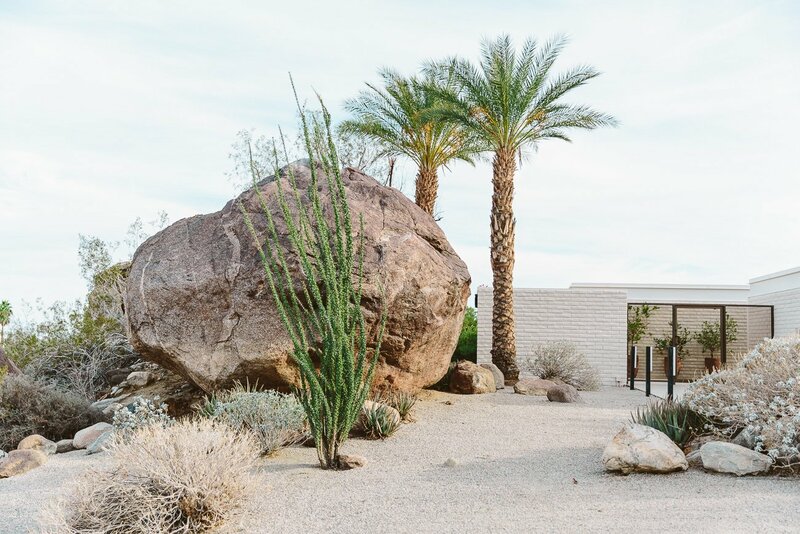 This way we would also have time to visit nearby Joshua Tree National Park.